All good things must come to an end, and so it goes with summer. 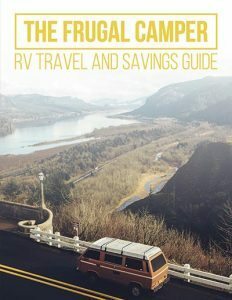 Although the year’s warmest season is now nearly on its way out, that’s no reason to keep you from using your RV throughout the year — no matter what the weather outside might look like. Of course, if you live in or plan on visiting a chilly area with your RV, you’ll have to take some precautions to keep your limbs from falling off like over sized icicles. Chief among those precautions is to buy a heating device if you don’t already have one. The very best way to heat an RV is with a furnace. The majority of RVs come standard with a furnace, but some do not. It you are in the market for an RV furnace, whether because your RV didn’t come with one, or because you need to replace the old one, this article aims to provide some insight into one of the market’s most prevalent models — the Atwood RV furnaces. Before you purchase an Atwood RV furnace, or any furnace for that matter, you’ll need to make sure it can fit into your vehicle. If you’re replacing an old model, simply measure the cut out space and plan to purchase a model that will fit into the space allotted. If, on the other hand, this will be your first RV furnace, you need to decide where the apparatus will fit. Another chief consideration before purchasing and installing your newest RV furnace is BTU (British Thermal Units). Always check the specs to see how much BTU a model offers. 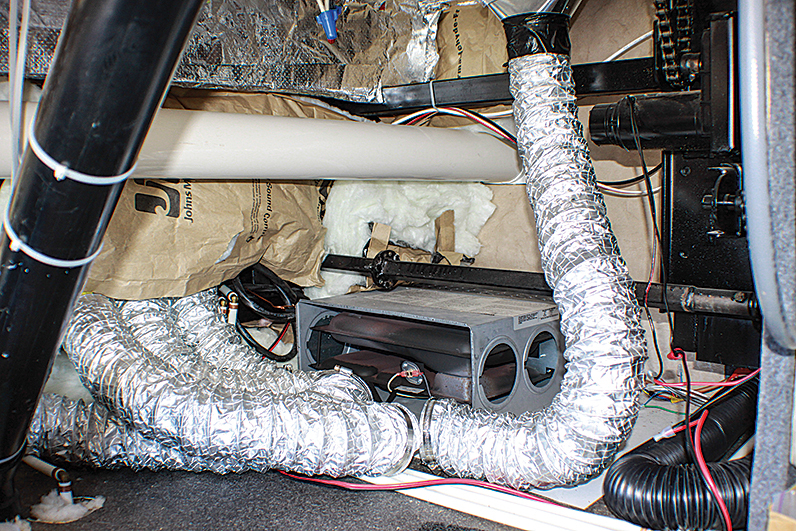 In brief, a higher BTU means the unit will have more power to heat up an RV in a shorter amount of time. Of course, this also means it will absorb electricity and fuel more quickly. It’s up to you to decide how much heating power you’ll require, and how much fuel efficiency you’re willing to sacrifice. Atwood offers multiple unique RV furnace models, so you’ll have to sift through the options before making a purchase. 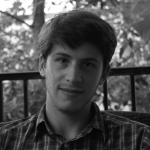 Let’s review the most prominent ones currently on the market. The Hydro Flame RV Furnace is one of the first units you’ll encounter in your search. This is a lightweight, compact model, weighing in at just 23 pounds with dimensions of 11-3/8″ high, 8-3/8″ wide, and 20-1/2″ deep. It’s ideal for smaller vehicles, and fits neatly into cabinets with depths anywhere between 20-1/2” – 24”. The American RV Company summarizes some of the unit’s features: “an electric shut-off on the gas valve, the new blower assembly that increases air delivery by 60%, and electronic ignition,” as well as an adjustable configuration allowing discharge to come through any combination of the front duct and two side ducts. The unit has several different iterations, which respectively run on 12,000, 16,000 or 18,000 BTU. 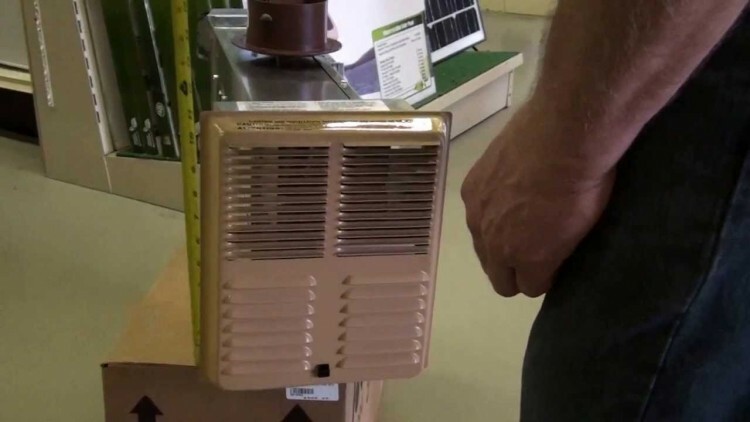 The modest 12,000 BTU model sells for a little under $500 on average. Next are the two Excalibur Models. The first, known as the Excalibur 8500 IV, is the more recent model. It sports a similar design to its older sibling but with fewer bugs and a design that allows for less noise during use. This is a compact model with a low profile that can be installed horizontally or vertically to maximize on extra space, with a cut-out size of 7-1/2″ H x 19-1/2″ W.
It can operate on various BTU settings depending on the specific unit (20,000 and 16,000) and currently retails for roughly $468. The older model is called the Excalibur 8900 III, and it runs on considerably more power — either 35,000 or 40,000 BTU. Their unique designs are similar, though the III has a slightly taller profile at 9-1/8″ and is generally more well-suited to industrial purposes. Nonetheless, an RV owner seeking more power can buy one online for $700. For this purchase, you’ll also need to consider any other Atwood RV furnace parts you may need to purchase. These models, for example, don’t come with a thermostat to control the settings. 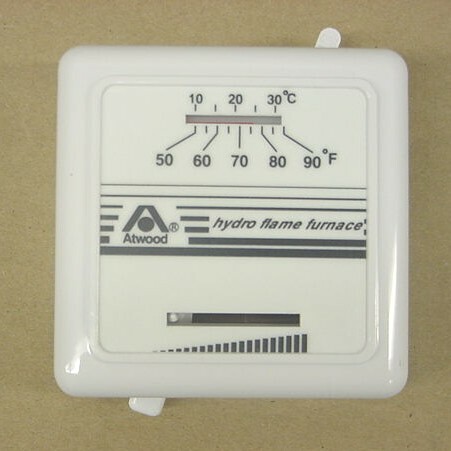 Atwood thermostats vary from the basic but effective models sold for less than $20 on average, to the digital models that boast a nicer design and added air circulation features but cost roughly $120. 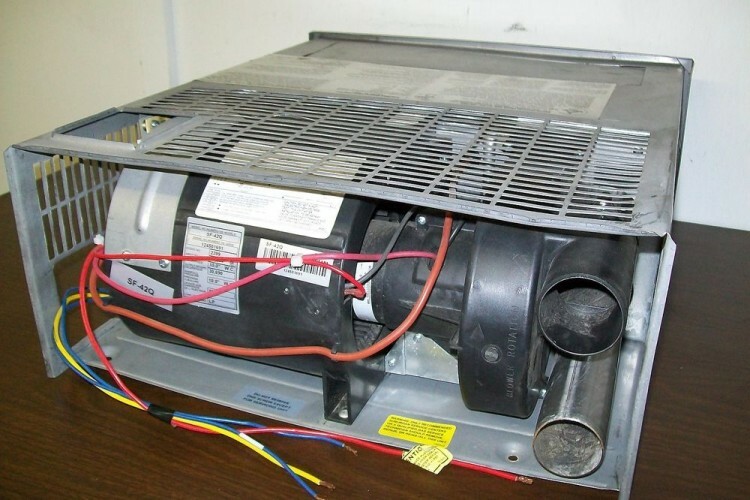 Should anything go wrong and you require some Atwood RV furnace troubleshooting expertise, there are many resources online to help you identify and hopefully fix whatever problem you might be experiencing. If you’re unable to figure it out for yourself for any reason, the Atwood website will be your next best bet. They have a contact form for customers to ask questions that aren’t already answered in their FAQ. If that doesn’t work — some people have had their issues with Atwood’s customer service process — try their service center locater to find a retailer or repair center near your zip code that can take a look and tell you what’s wrong. Hopefully, this guide provides any information you might need to help your search for the right Atwood RV furnace. Make sure to check the specs and get all the facts about Atwood’s units and those of their competitors, like Suburban or Camco, before rushing into any purchase you might regret.